"I will be strong and courageous." The gift was sent to Trump by Kenny Vaughan — a former champion water skier and author who owns Shields of Strength, a company that sells a variety of jewelry, including inspirational dog tags. 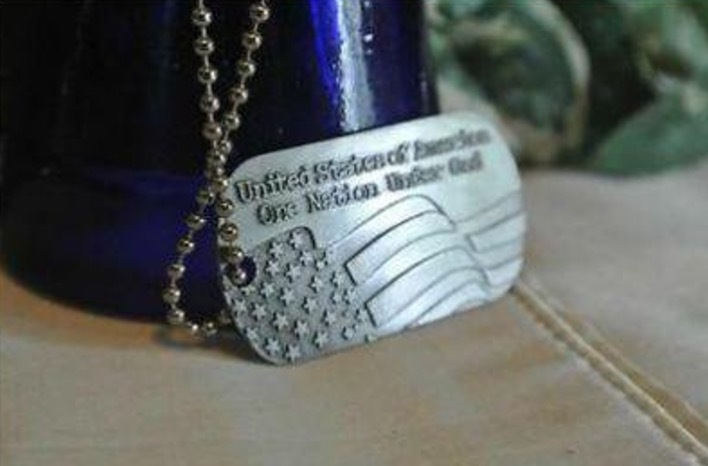 And, as it turns out, there’s a special meaning behind the Joshua 1:9 tags, which have been worn by U.S. service members since their debut in 1998. Vaughan told The Christian Post that he sent the dog tags to Trump in an effort to inspire the nation’s new commander-in-chief to turn to scripture in seeking leadership guidance. He also sent Trump some jewelry for his daughters and his wife, Melania. “I wrote (Trump) that as the commander-in-chief of a military that depends so much on God’s Word, he and his family should have the Scripture-inscribed Shields of Strength dog tags the military wear,” Vaughan told the Post. Interestingly, Trump responded to Vaughan’s kind gesture with a letter, expressing gratitude and pledging to be a president who serves all people — a proclamation he has repeatedly made amid skepticism over his past statements advocating a Muslim ban, among other controversial language. As Faithwire previously reported, there has been quite a bit of discussion and debate about Trump’s faith over the past year. Either way, it’s clear he appreciated Vaughan’s gifts to him and his family.